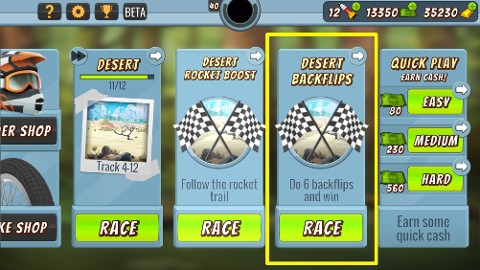 Complete one of the backflip missions in the game to unlock backflips. Then you will be able to do backflips in all races! Backflips won't necessarily make you faster, but it's cool to show off in front of your friends when playing online.